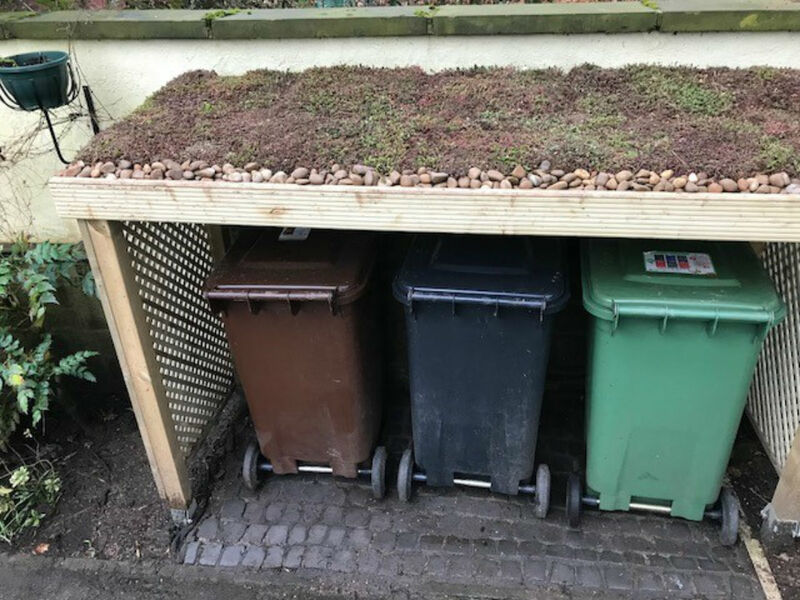 Have you ever wondered how to disguise the inevitable line of wheelie bins outside your house? 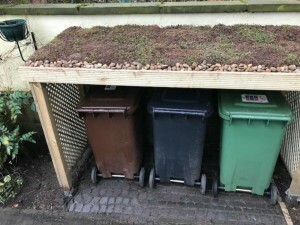 Well, one of our customers did and came up with this lovely structure. 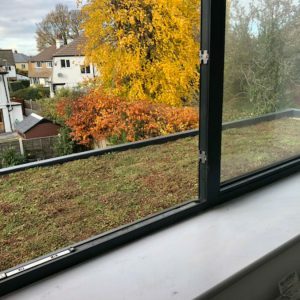 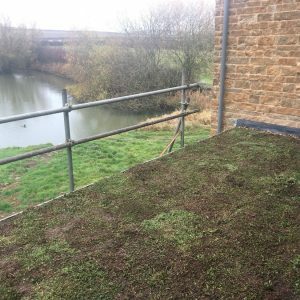 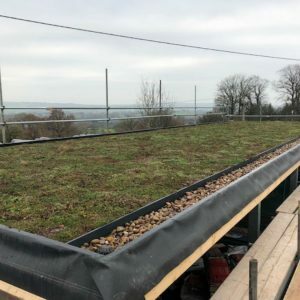 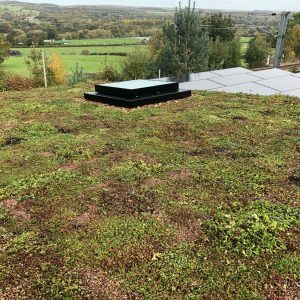 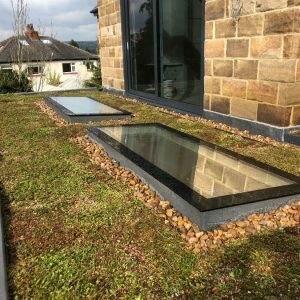 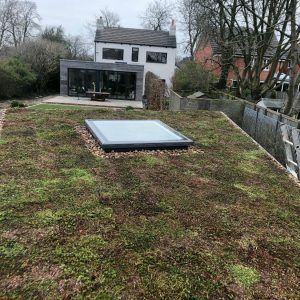 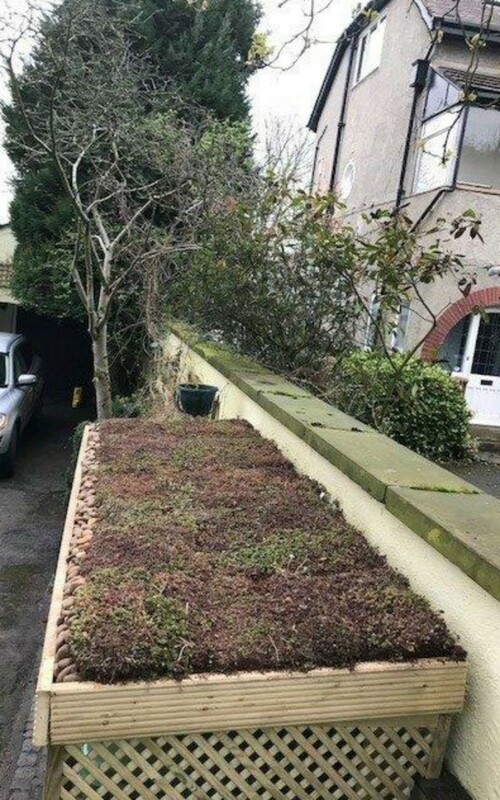 We supplied the sedum and some expertise and he did all the rest, with stunning results!